Up there with my favourite albums ever across all genres, unique sound with beautiful mixture of electronics, jazz, breakbeats. This is some of the most unpretentious, understated and sincere music I have heard. Unfortunately this particular edition of the LP suffers from what you might call 'overly modest' mastering and/or pressing. I'd still highly recommend it - only be warned: you will need to turn the volume up pretty far! A diverse recording spanning Detroit techno, ambient house, and touches of fusion, rooted in a strong dance ethos. The highlight must be "Mad Mike Disease" in all its warped and twisty funk, although "Homeless", with lush strings and some fantastic counterpoint (echoes of Jan Hammer/Miami Vice!) challenges. Unanticipated flourishes abound - Latin brass even pops up. Easily on par with the best that UR and Carl Craig made, and an album that demands repeated listening. 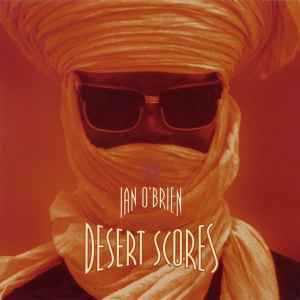 DESERT SCORES has classic written all over it, and with good reason. From the opening track, the Detroit-fueled "Mad Mike Disease," there's a melodic and rhythmic propulsion that's impossible to ignore. The electro-funk-jazz of "Homeless" shows a complex understanding of the interaction of melody and syncopation. But the undoubted highlight of the album is the epic and beautifully askew "Dayride," which works with dynamics the way others can only dream of. "Monkey Jazz" takes on a Spanish flair, replete with horns, but if you're in the mood for more straight-up techno, "Granpa's Drawers" will get you moving in no time. "Eurydice," rather than being a journey to hell, takes you straight to heaven. This album is nothing but excellence from start to finish. Mad Mikes Disease is a suitable homage to the founding father of UR. Jazzy but not noodling, uplifting but not cheesy. This album is a must have for any collector of techno worth their salt. I was completely amazed by the fact that this had been one of his earliest endeavours into the realm of electronic dance music. It is superb. I would highly recommend this album to anyone to anyone who is looking to turn new people on to this music. Desert Scores is really what it's all about. I only ever owned the re-release and found myself playing "Mad Mike Disease" (an homage to the great one) every time I touched my turntables. It's that good.